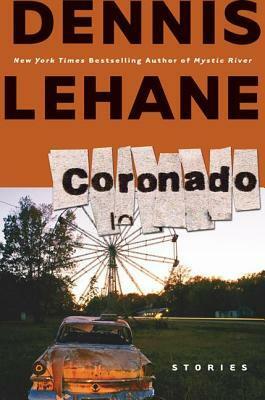 Coronado is a collection of six short stories by author Dennis Lehane. Running out of Dog – A well-written tale about small town secrecy. Running out of Dog is fueled by pent-up male-aggression threatening to burst inside those who seem to lack a true purpose in life. Blue, the best friend of protagonist Elgin, is the kind of man who when you look into his eyes, you see a whole lot of nothing. As Elgin says, he’s a man who has been dying since he was born. I really liked this one – a great way to start off the collection. Lehane weaves in Elgin’s experience fighting in the Vietnam War creating some truly haunting moments. ICU – Follows a man who spends a month or so hiding out in various Intensive Care Units from a group of men in ties looking to tracking him down. I enjoyed this one well enough. Although the basis of the story is a crime novel, the novel is more so about life for those waiting for others to get better or die while living inside the purgatory of hospital waiting rooms. Going Down to Corpus – A group of recent high school grads decide to beat up a teammate responsible for blowing the big football game. They arrive at his home to discover he’s left town and instead proceed to destroying everything inside. This one was alright. The writing was strong and memorable, but it didn’t quite do anything for me in the end. I totally get what he was going for as he had the main character struggle to cope with his inevitable mediocrity, but I just didn’t care. Mushrooms – A quick tale about revenge and drug-fueled violence. There’s something to be said about the ability to deliver devastating crime fiction via swift, short stories (I’m both a reader and writer of flash fiction), but I didn’t quite get anything out of this one. I found it a bit ambiguous and not quite as focused. Until Gwen – Told via second person narration through a series of flashes between the past and present, Until Gwen tells of a rift between father and son born out of tragedy. Until Gwen is the strongest of the five original stories. Lehane wrote the first draft overnight on his front porch during an intense rain storm. A few revisions followed before it was sent off to live inside a short story anthology. Later, he adapted it for a stage play – Coronado – which follows this story in the book. It expands on the original work, but something is lost in translation. That’s not to say it wouldn’t make an interesting stage production, but the short story is definitely better. Coronado isn’t a particularly strong collection of short stories, but I really enjoyed both Until Gwen and Running out of Dog. You’ll have to decide if buying a short story collection for just two stories is worth your time, but I think you’d be missing out if you passed on those quick reads. Maybe check it out of your local library or grab it at a used book sale like I did.